steel house and workshop also belong to irregular product. Some steel house and workshop material adopts steel bar or steel plate, or angle steel or others. The surface is also according to client�s requirement to handle, such as paint or hot-dipped galvanized or other finish such as special material. i.e. some steel house belong to easy-install and easy to disassemble, then the material requirement also very strict, maybe adopt some plastic or other special material. 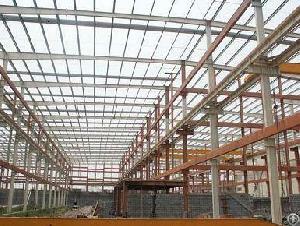 Most of workshop need longer span channel steel or heavy duty structure & frame, good design is necessary.